It’s that time again for Secret Recipe Club reveals! If you haven’t yet joined this group, it’s pretty awesome. This is my second month, and this month I was assigned the blog, Barefeet in the Kitchen. 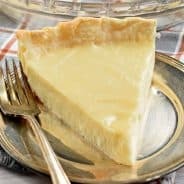 Mary is a great cook, and all her recipes look delicious and wholesome. 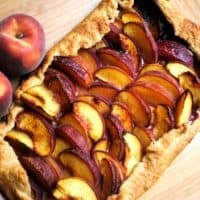 I chose to make her recipe for Peach Galette. I have wanted to make a galette for a long time now. What a perfect opportunity. I loved the simplicity of this recipe, and the rustic appearance. And the taste? Amazing! Exactly what I had hoped for! Thanks Mary! Combine flour, salt and sugar in mixer bowl. Add cold cubed butter and mix with paddle attachment until dough is crumbly. Slowly add cold water and mixing until dough comes together. Wrap dough in saran wrap and refrigerate for at least 15 minutes. While chilling, wash and slice peaches. I kept the skin on because I like the way it looks (and tastes). You can certainly peel yours if you like. Sprinkle the cinnamon and sugar evenly over the peaches, set aside. Roll dough out into a 14in circle. I made mine rectangular, about 15x9. Brush with half of the melted butter, then layer on the peaches. Leave room along the edges to fold over the dough. Brush the edges of the dough, after being folded, with butter. Sprinkle with the raw sugar. Bake in a 425 degree oven for 15 minutes, reduce the temperature to 375 degrees. Bake for about 35 minutes. Remove and cool slightly. 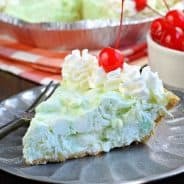 Delicious with whipped cream or ice cream! Enjoy! The galette looks amazing! definitely rustic! So glad to find your blog thru SRC! Actually stopping by from Sweet Flours who had you. Great site and your newest follower! Aimee, this is one of the best looking galettes I’ve ever seen. Beautiful food coupled with great photography! This looks delicious! And pretty simple, gotta love that! I like Mary’s blog too. And you just can’t have too many peach recipes! This galette looks terrific. Your galette turned out beautifully! You’ve made me crave this all over again. I’m going to try it with some vanilla ice cream next time I make it. Thanks! What a pretty galette. All that fresh fruit is making me drool! Oh wow, that looks lovely. Well done! Wow…now I know what to do with my CSA box peaches. Thanks for posting. Looks delicious. I have never made one either – yours is beautiful and makes me want to give it a try. Aimee! I am so glad I can come out and finally comment on your amazing blog. I have absolutely been sucked in. You cook/bake in a way I know my family will like which is so important to me when choosing recipes. I have been stopping by daily and don’t plan on stopping any time soon. Oh, I love this! I’m a huge fan of peach desserts (and galettes ;)). Just beautiful!!! you. Great Post! 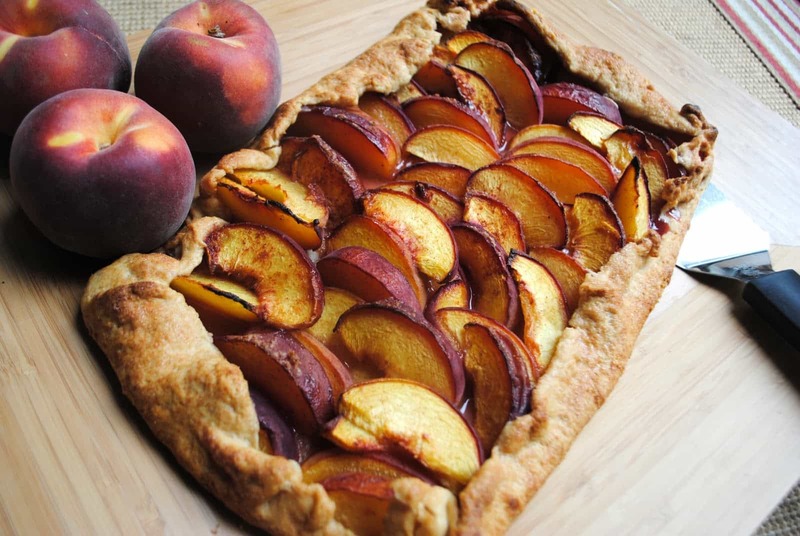 This peach galette looks delish…I’ve never made one before…now looks like a good time to try! Beautiful galette! I love your photography. Stopping by from group B SRC! Ok, would it be a bad idea to eat the entire galette? That would be wrong right? That looks amazing!!!! It’s gorgeous and I’m sure delicious. Well Done! I love peach season. Thanks! Awww, thank you all so much. I really enjoyed the galette, and I love SRC! Allison- I’m so glad you’re here. You said the sweetest things on your blog, thank you! 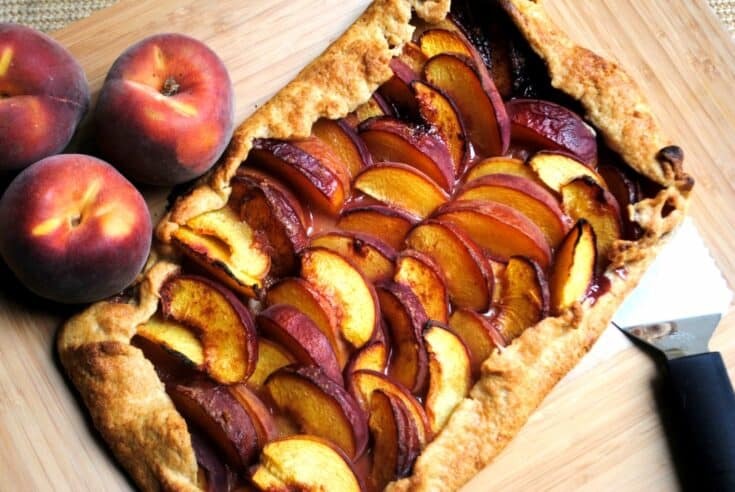 This peach galette looks amazing! So happy to ind you through SRC. I am your newest follower! What a lovely tart! I was actually just reading about a Swiss galette, traditionally made in very large rectangle to be shared among many. It was sort of like a giant pizza like they used to serve at grade school birthday parties… That particular recipe called for plums, which make the most delicious desserts! Beautiful tart! Great SRC pick! I am beyond giddy right now. I have all of the ingredients on hand to give this a try. This looks so delicious. Rustic and gorgeous, I’m saving this recipe. I love the idea of a rustic galette – I’m not a pie maker, so this is something I could make. Great pick for SRC! I never used to be a peach fan years ago, but I’ve really learned to love them. I bet your house smelled heavenly when you were making this recipe. This is my first time joining the SRC. I hope you’ll stop by and visit. Perfect for all of the beautiful peaches available this time of year. Yours looks beautiful! I had her blog last month! She’s got some great recipes. Nice pick you made! Looks delish! I have never made anything like this before, and the challenge is out there now. 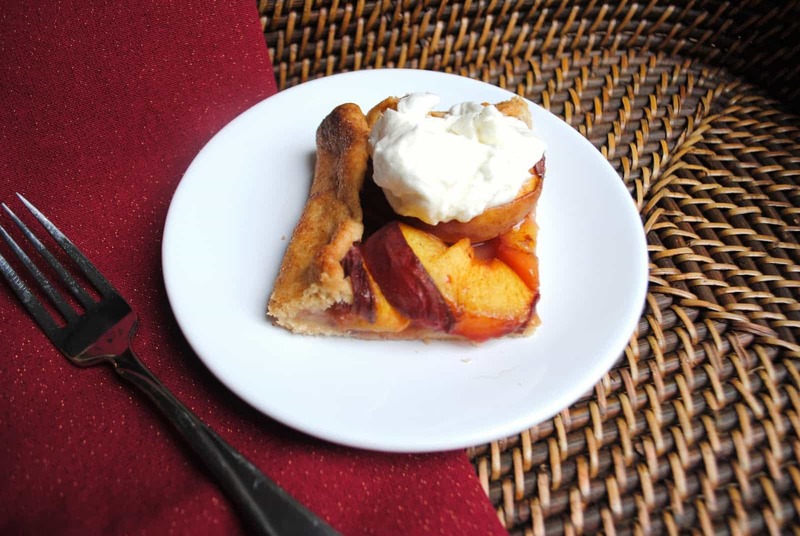 It looks so tasty and I love peaches… a perfect way to incorporate them into a delicious dessert. Yum! Looks great — I’m loving SRC, so many new recipes to try! Sounds delicious! Now that peaches are out of season, I wonder how this would be with apples…. Your galette looks beautiful! It’s amazing what a little heat does to peaches. I’ll have to try the dough recipe too. I’m unhappy with my current one. Thanks for sharing! Beautiful! I bet this is delicious! Yum! That looks a-MAY-zing! Great photo, too. 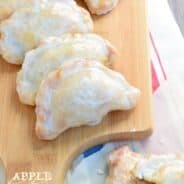 SRC is so fun- glad I joined so I can see all the great blogs and recipes. galette? I’ve never made a galette. But I do have a lot of peaches at home to use up! I adore fruity galettes, yours looks great!